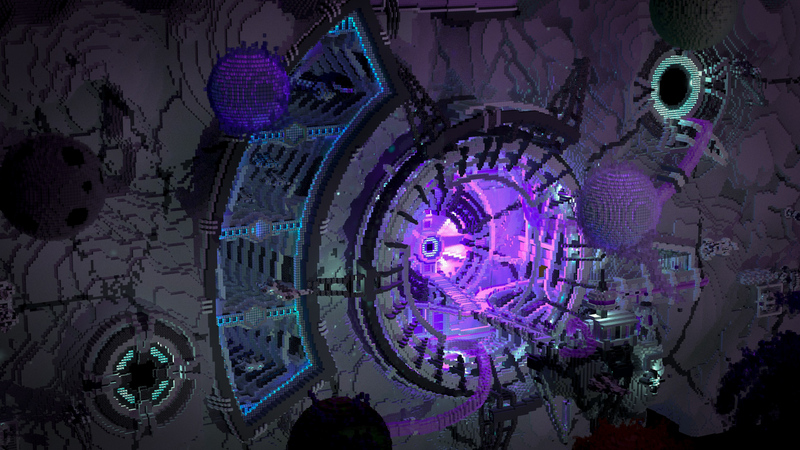 A insanely detailed build created for Cosmic Prisons. Right from the spawnpoint you will immediately see the immense scale and beatifully crafted mining colony attached to the . 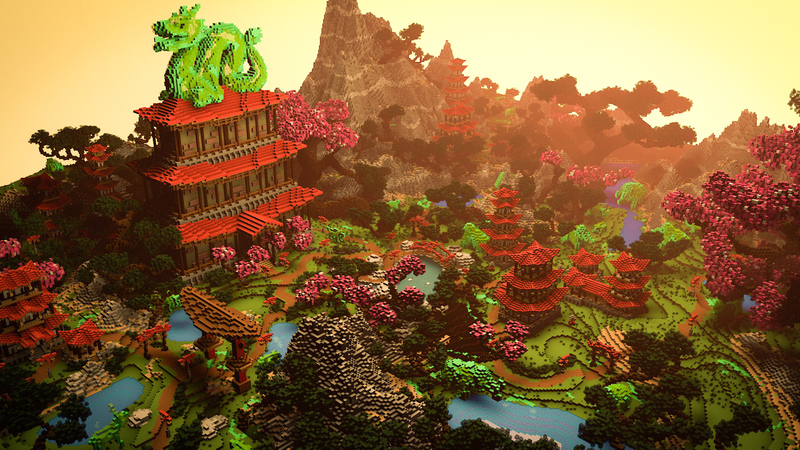 A Japanese inspired warzone build for CosmicPvP. The map features Jade animals and Japanese-style villages. 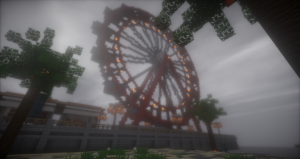 We created a fully featured hub for CosmicPvP. 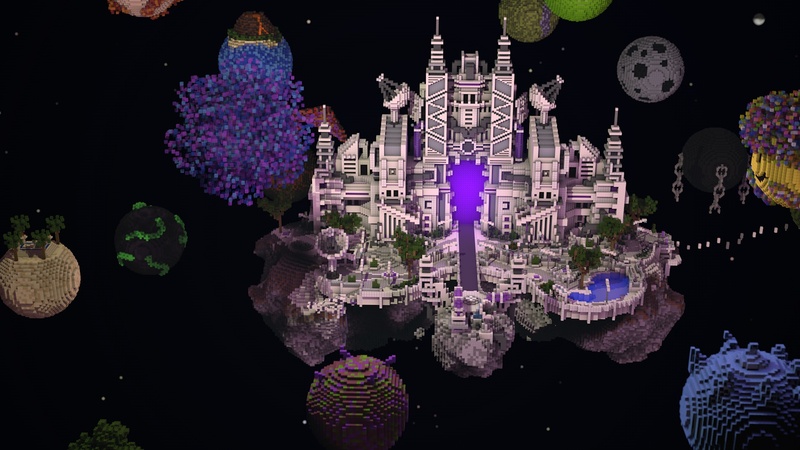 It features a futuristic, space themed build with a big centralized portal. Surrounding the build are walkways and relaxation areas. Parkour has also been added. 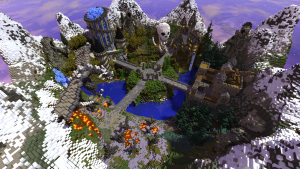 We’ve created a brand new warzone for the OP Factions server CosmicPvP. 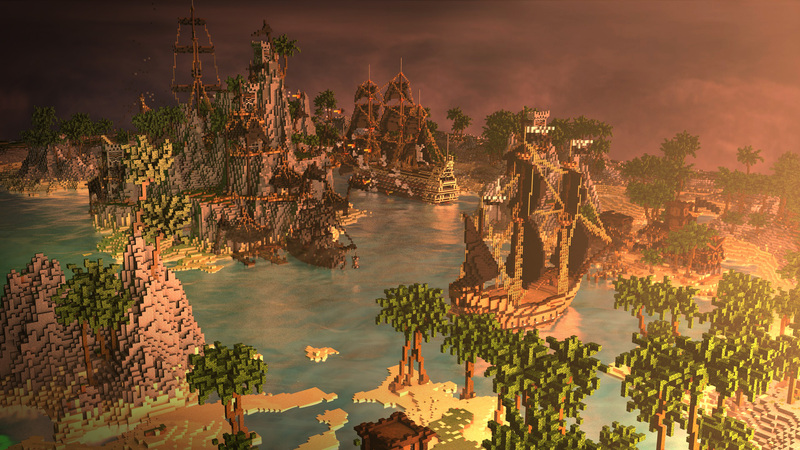 The 600×600 map features big detailed pirate ships, terrain suited for PvP and a pirate outpost in the center of the map. For their latest world we’ve created a highly detailed 600×600 map filled to the brim with sunken ships, pirate villages & a centerpiece for the bossfighting – an ancient aztec temple. We’ve created 4 warzones and race spawns for the custom-coded Factions server Treasure Wars. We were asked to keep a medieval feel in our builds. For the popular YouTube series on members of ‘The Pack’, we were commissioned to build a custom map. We’ve created a spawn town with shops, NPCs, and rentable plots. We also made over 20 dungeons scattered around the map, and with custom code by our partner Compilex, We’ve created an awesome playing experiece for the YouTubers. 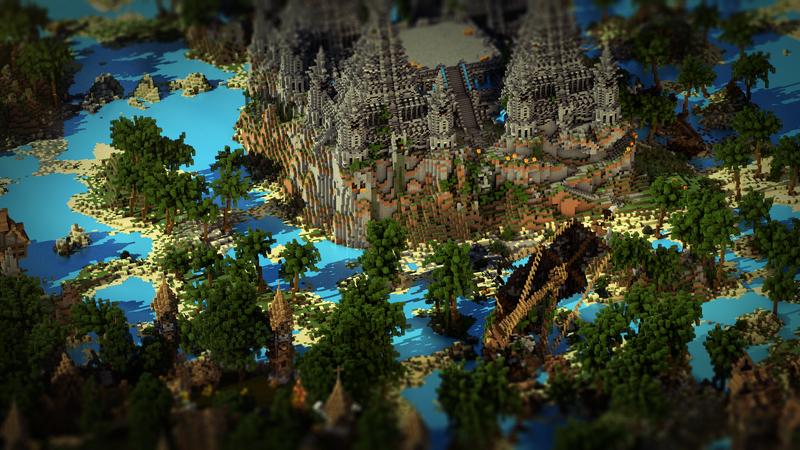 This medieval hub was made for the server Treasure Wars, Comissioned by Lachlan (over 1mil YouTube subscribers). 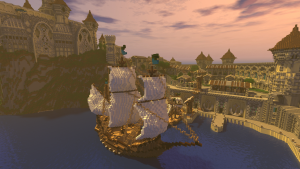 The hub features a parcour, stables and 4 airballoons with hub portals on the dock. 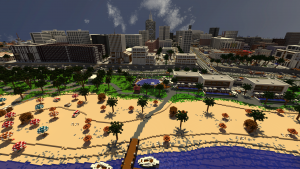 This cinematic features the city of Arcadia, a Miami inspired city. The map is over 1k x 2k blocks! 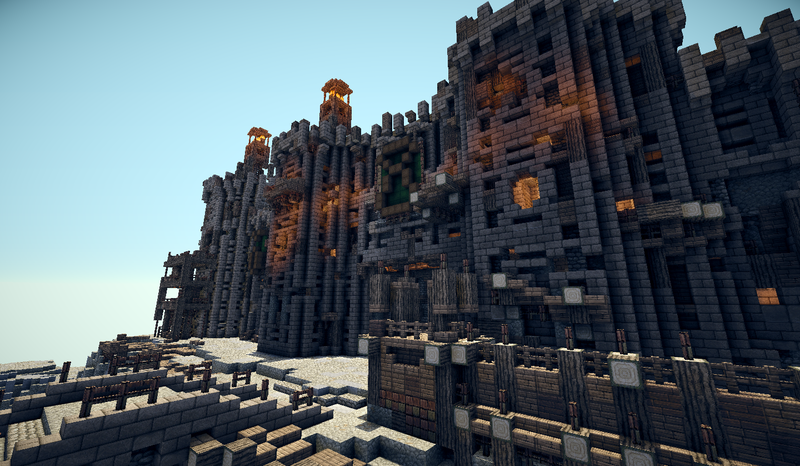 Midlight was created to serve as a spawn for the server 4D Gaming. A clean style was created by using decorational blocks carefully, avoiding the cramped style that often comes when working with quartz in large quantities. The large amounts of grey colors in the walls also serves to make the water and the roofs all the more potent. 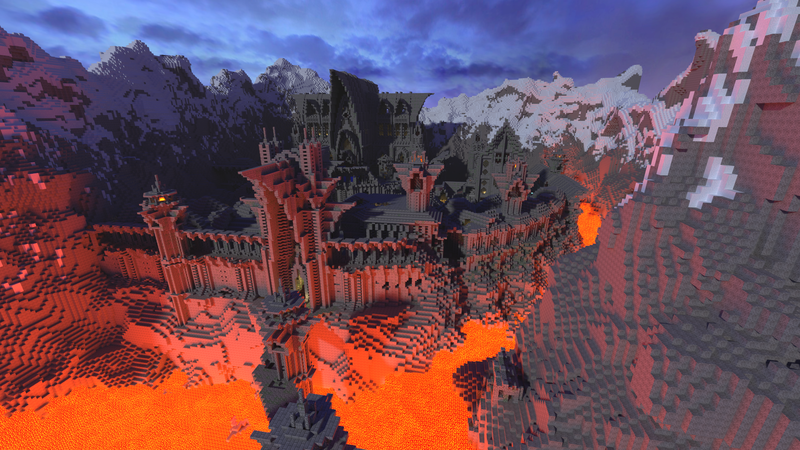 It is surrounded by tall mountains, serving as a border for the spawn. 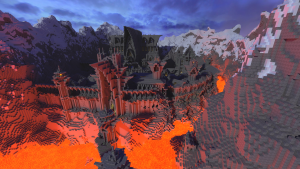 The forsaken city of Maltai was made for the MMORPG Minecraft server Dungeon Realms. The client was very specific in that it should have a grim feeling to it and we built it after that. The walled city features a library, houses & a large cathedral. The city of Cyrennica was created for the MMORPG Minecraft server Dungeon Realms. 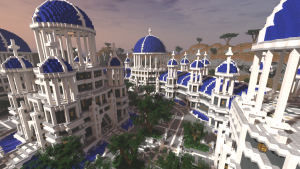 It was to serve as the spawn point of the server and as such we put a lot of love into it, adding a ton of small details that all serve o make it come together into a build we are very proud of. The city features countless of unique houses, a castle, city squares, docks & ships. GTACraft was created for Arkham Network as one of their gamemodes and was heavily influenced by the city Miami. 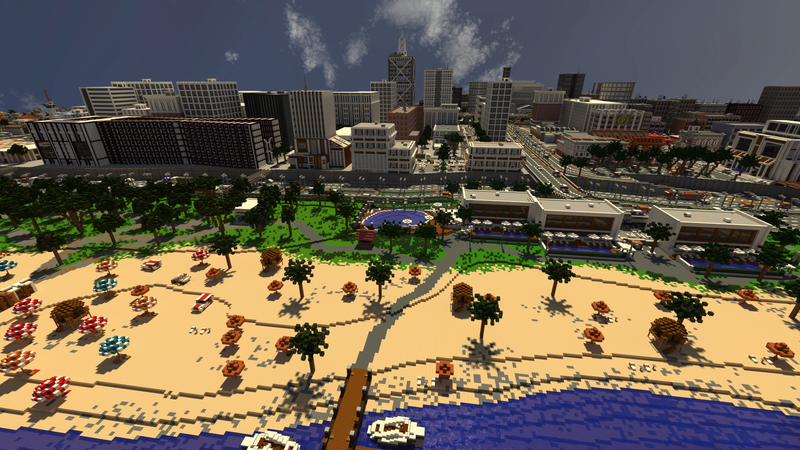 The map is in the size 2000×1000 blocks and features a vast array of different zones – beaches, business districts, residential zones and more. This was also one of the largest cooperative build that the team has done – more than 15 people helped create it and it gave us valuable experience in projects of this size. These ruins were once a great castle but time has passed and goblins have taken over. Using scaffolding, spikes and adding extra towers the goblins have made these old ruins into an inpenetratable castle. The castle features large walls, towers, a throne room and an area inside the castle walls. 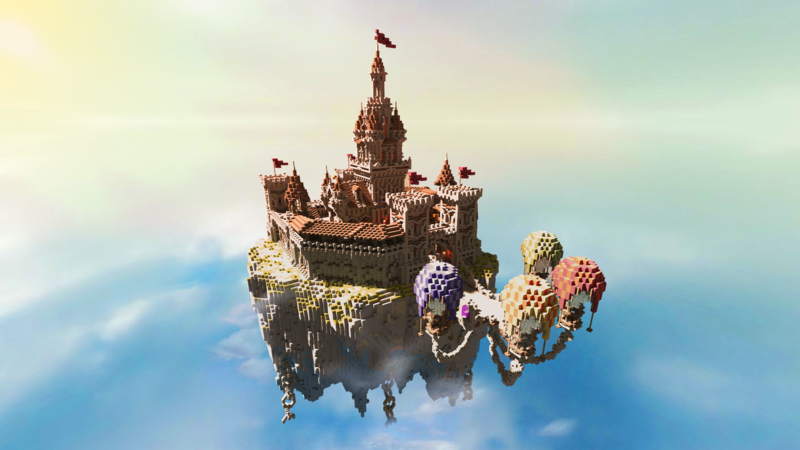 This is a hub built for Minescape, a Minecraft Runescape clone. The idea was to create 4 ‘sections’, each featuring a different theme that can be found in the world map. As you can see there are statues of a skull, dragon, two knights and two wizards.